This post was published just after 8:30am from my home at Indian Lake Estates, FL. Yesterday I enjoyed another great swim, an ice bath, a productive but relaxing day of work, and another good night’s sleep. The mornings have been clear, still, hot and sunny. The afternoons have been partly cloudy. And just after dinner there has been an absolute deluge every day. This post, which took me more than 4 1/2 hours to prepare, marks 252 consecutive days with a new enjoyable and educational blog post. The images from the fourth Learning to Think and See Like a Pro blog post that were promised for today will be featured in tomorrow’s blog post. Lots of folks have posted some great ideas by leaving well thought out comments. As you now have another day it is not too late to take a crack at it. 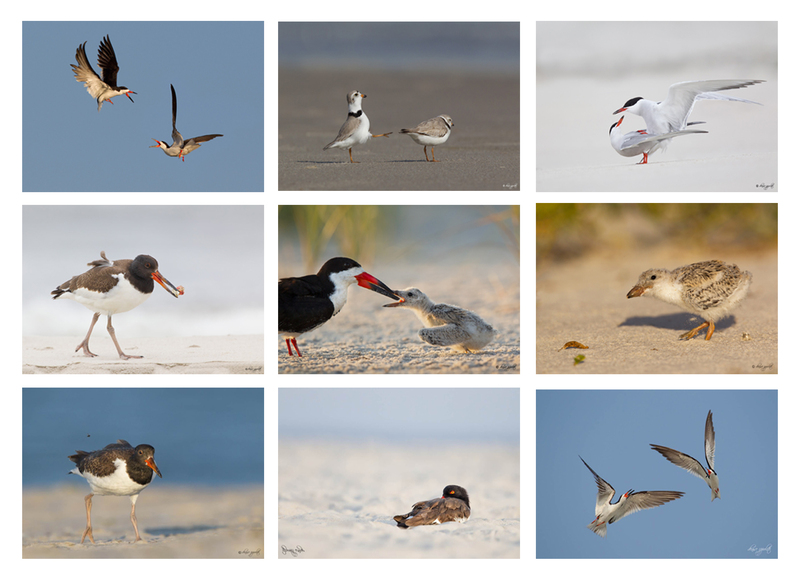 All of the shorebirds on this composite card were photographed at Jamaica Bay Wildlife Refuge (JBWR) in late summer. Amazingly, “fall” (southbound) migration for arctic and sub-arctic breeding shorebirds begins every year in late June when the first Least Sandpipers and Short-billed Dowitchers, birds that did not breed, stop in New York City on their way south to their wintering grounds. 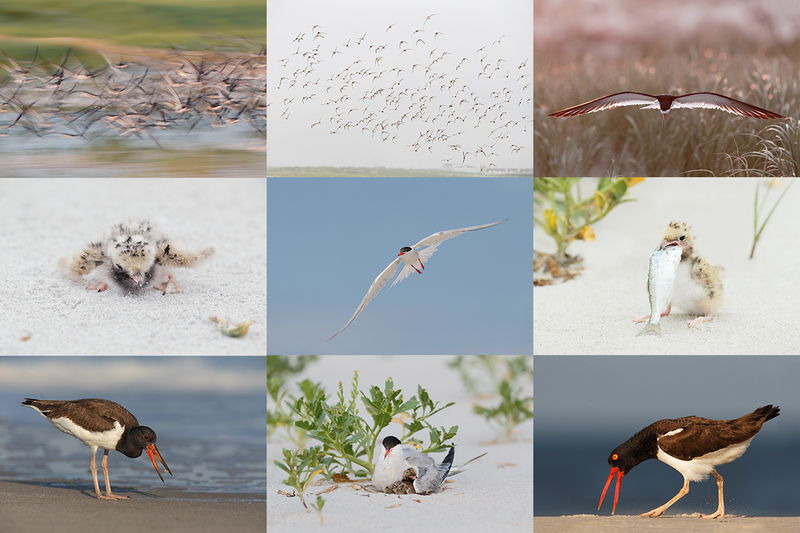 You can learn the whole story, as well as the basics of identifying and ageing North American shorebirds in my Shorebirds: Beautiful Beachcombers (softcover: 160 pages with 96 full color photographs). 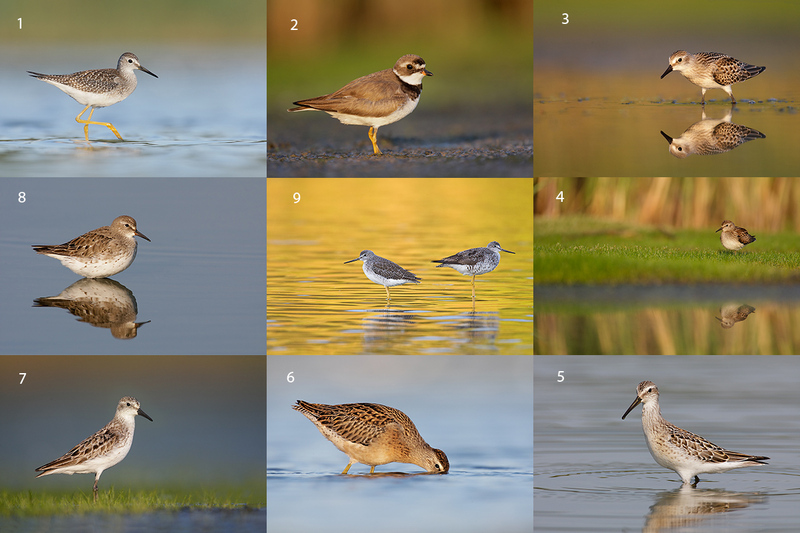 See the Shorebird ID quiz below and be sure to click on the image to view a larger size. You may of course consult a good field guide or reference book. Good luck! 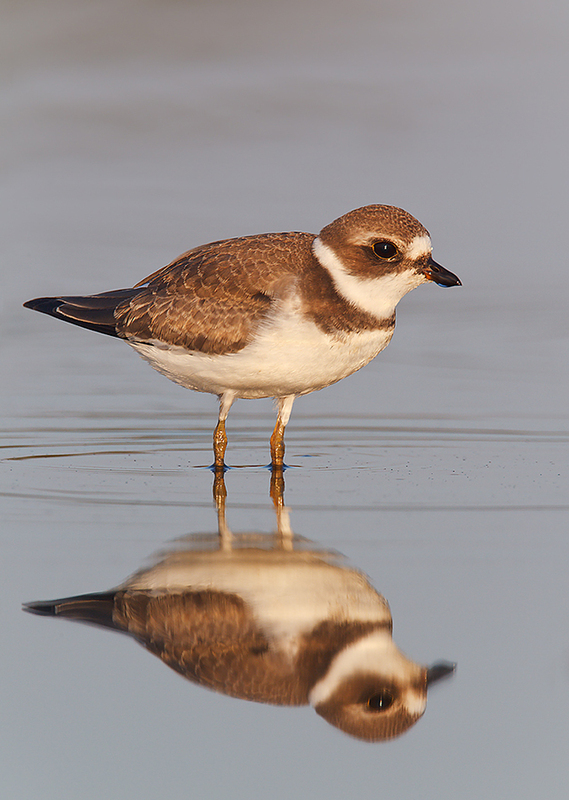 This juvenile Semipalmated Plover image was created on August 20, 2010. Note the whitish fringes on each feather of the bird’s upperparts and crown that give the bird the scalloped look sported by many young shorebirds. I used the the Gitzo 3530LS tripod now replaced by the Gitzo 3532 LS carbon fiber tripod, the Mongoose M3.6 head, the Canon EF 800mm f/5.6L IS USM lens, the Canon Extender EF 1.4X III, and the EOS-1D Mark IV (now replaced by the Canon EOS-1D X. ISO 400. Evaluative metering +1 1/3 stops as framed: 1/320 sec. at f/11in Manual Av mode. AWB. Central Sensor (by necessity)/AI Servo-Expand/Rear Focus on the bird’s eye and re-compose. Today, when you add a 2X TC to an f/4 lens with the 1DX or the 5D III, hit the MFn button once to toggle to AF Expand and enjoy 4 extra AF sensors. Learn everything there is to know about the 1D X and 5D III AF systems including how to manage the various AF Area Selection Modes, when to use which one, and several ways to move the AF sensor around in the 1D X AF Guide and the 5D Mark III User’s Guide. Click here to see the latest version of the Rear Focus Tutorial. Click on the image to see a larger version. I agree with Denise, Brian and Wayne. I agree with Brian too.